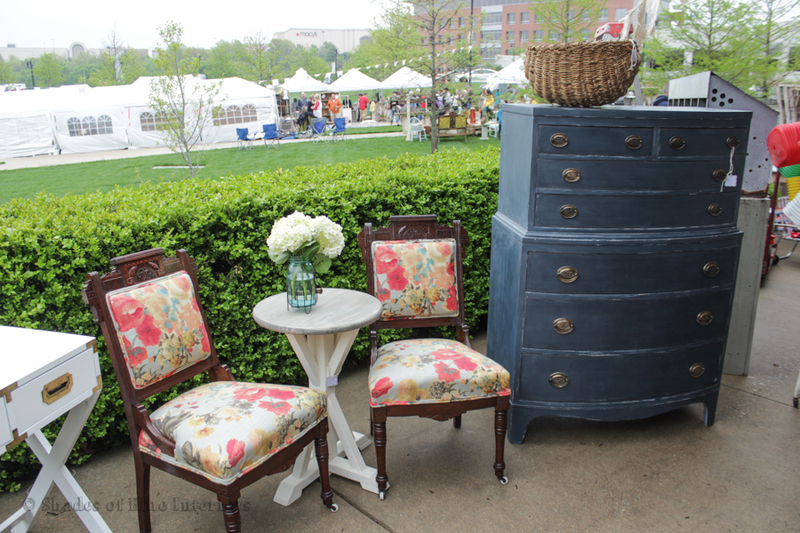 Lots of pictures are in this post from all the Vintage Market Days that I have participated in. If you want to read more about each one, click on the picture to be redirected to the corresponding post. Before I get into all my tips, the part that I won’t get into detail on because it is sort of assumed, is you HAVE to take this seriously and invest. I don’t suggest going into debt either. You will be out a big chunk of change as you prepare for whatever event you do, and you won’t see a return on it until the event (vintage fair/flea market/etc) is over. 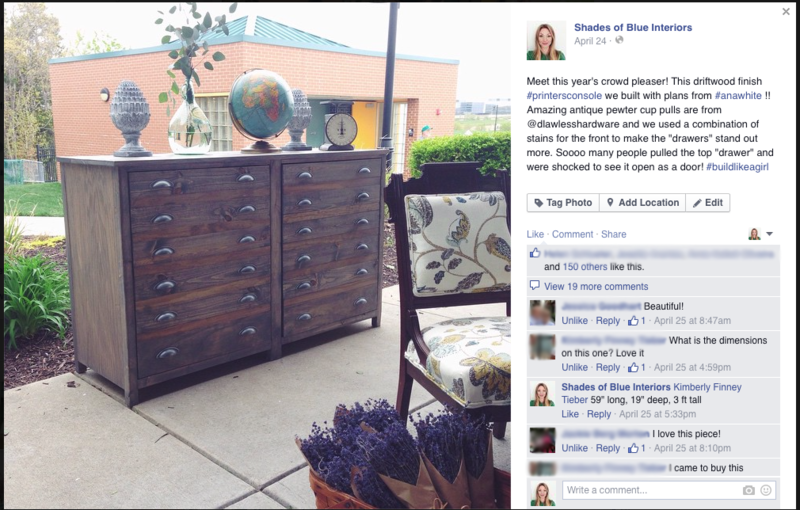 I was re-doing and selling my furniture for over a year before I did my first event, and I was already selling on Etsy, so I had my profits saved and ONLY used those profits to buy what I needed for the event. And I’m not just talking about actual goods I will re-sell… I’m talking truck rental, banners, tags, business cards, signs, and basically anything to make your booth look pretty like lights and flowers. Additionally, you need a good support system. My husband always takes a week off of work right before the event. There is NO WAY I could do this and be successful if he didn’t support and help me not only the week before and during, but months before. I’ve also had family and friends take turns watching my kids when absolutely necessary. I couldn’t even focus if I didn’t have their support. So, assuming that you were nodding yes to the above ‘pre-qualifications’ if you will, read on. This is maybe the most important thing you do if you want to be successful at whatever event you choose. Research different events, their booth fees, the vibe they promote, the advertising and promoting they do, the venue location (start with local shows to keep travel expenses down), the parking availability, the attractions or ‘extras’ for the event… all of these play a big role. If the event organizer can’t get a lot of people there, including the RIGHT people (meaning, people who will spend money), it doesn’t matter how cute your stuff is, you will come out disappointed. I know. I’ve been there. Just to give you an idea, I saw a big difference in profits and traffic when the location was super accessible to the general public, when the location was in an area of reasonable affluence, there were special things like giveaways and live music during the event, and prior to the event it was advertised not just on billboards and word of mouth, but on TV, radio, and social media. Don’t be someone else. Be YOU. Can you get inspiration from someone else and put your spin on it? Absolutely! Can you even sell some of the same things as other people? Of course! But make sure it is consistent with YOUR brand. I say brand, because that is exactly what you are creating. Your style represents your business which is ultimately your brand. This can be hard when you see something you really like and see that some other vendor is selling them like hot-cakes. Just because you like it, doesn’t mean it fits in your brand. I like lots of things that I wouldn’t put in my home or that don’t really fit my style. If you don’t know your style? Start experimenting with different styles until you find it. If you paint furniture like me, try out modern, shabby, farmhouse, chippy, retro, hand-painted, layered, european, colorful, etc. Find what you love the most. Find what makes you excited. Expand from there. You can even blend styles. No one says you have to fit perfectly in one type. Maybe you are an eclectic mix. But still you need to be consistent with things that are uniquely YOU. You HAVE to have your own style before you get to the point of running a successful booth. If you style is similar or hard to distinguish between everyone else a vintage fair, how are they going to remember you? How are you going to stand out? Part of being successful and selling out is keeping people coming back for more, whether that means they come back the next day to buy that piece they couldn’t stop thinking about, or if that means sending you an email 2 weeks later ordering something custom. If your booth comes across as a one-trick pony, you will get people who just take one look and walk right by. Additionally, if you only offer large items, like furniture, you miss out on people who love your style, but don’t need furniture. 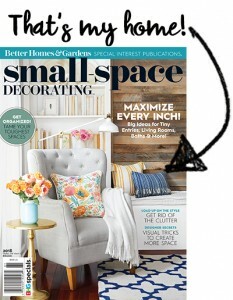 Or vice versa… they love all your smaller decor items, but maybe they aren’t sure how to use it or style it with a larger piece. You don’t HAVE to have lots of furniture if you a smalls booth. But have something. 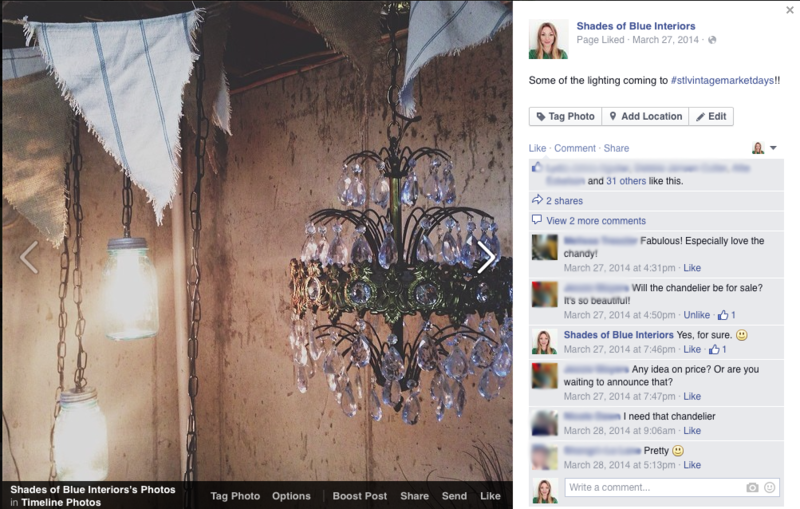 Create interesting vignettes and ideas… ways to show off the best aspect of what you are selling. I see people all the time that love my furniture, love my style, but either can’t afford or don’t need more furniture (which I am most known for). So, I bring smaller decor items that specifically fit my style. I buy things that I would put in my home… and it gives those people a chance to take something home from Shades of Blue. There are a few categories for this one, so I’ll explain more. Not everyone came to shop for a big dresser or buffet. But that stool would sure look adorable in the kitchen! Or that chair or end table would look perfect in the office! These are technically still “furniture” items, but are that perfect middle-ground purchase. Not the big money maker, but not the least expensive either. If you have too many of these small furniture items, it looks too busy, but not enough, and a booth can look empty. They also are great for filling in those awkward spots that none of your bigger pieces fit in. Just because they are smaller though, doesn’t mean you don’t give them special attention. Make sure you spend quality time making it look loved and unique. Does it have a history or story? Tell it. This also applies to larger pieces. The story of a piece of furniture will always add value. It can be who made it, where it came from, what it was used for, what condition you found it in, how you found your inspiration for it, how long it took you to do… all of this adds up to this piece’s history and is worth something. I mean, don’t gab their ear off and annoy them, but offer the information if they seem interested. For smaller items at a vintage fair, I find it always more interesting when there are simply the vintage items by themselves for obvious decor purposes, and also hand-made items. 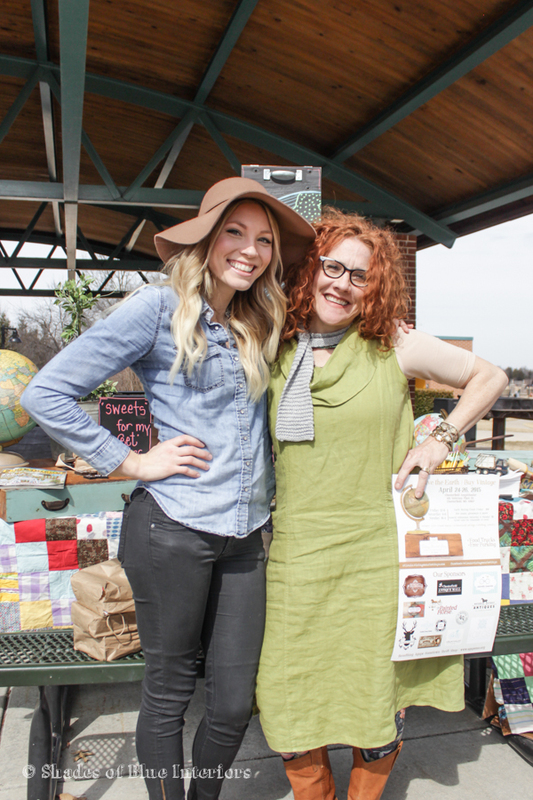 Hand-made items can be things that are repurposed, upcycled, or reused in another way. I always bring antique music sheet wreaths and usually sell them all. I’ve also made over a lamp (pictured below), made pendant lights from mason jars, and painted antique-looking signs. 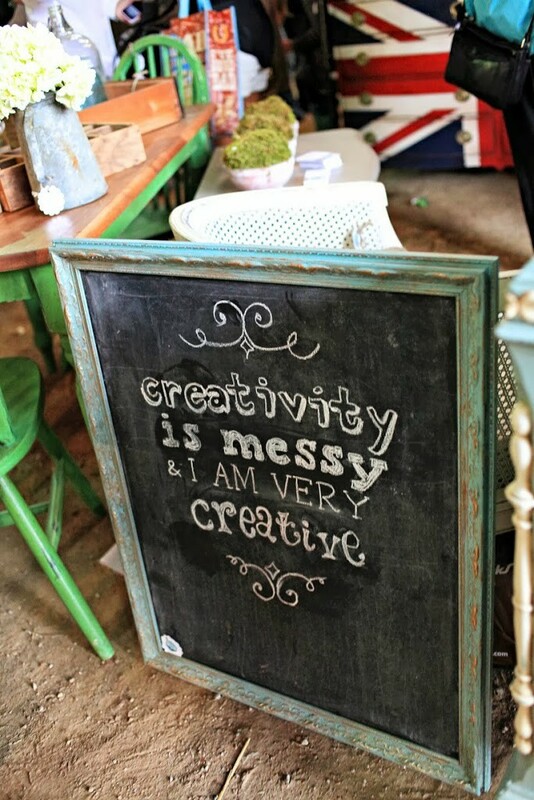 Chalkboards also have lots of variations and are quite practical from a styling and selling point of view. If you like a specific vintage item, like Ironstone or glass bottles, group it together when possible. It makes a bigger statement and shows variety. This is optional and really has got to fit in with your style. But if it does, I encourage it. I order mine from a floral wholesaler and I never make a huge profit on them. But lavender is always popular, I regularly sell small preserved boxwood wreaths, and dried cotton stalks are popular too. 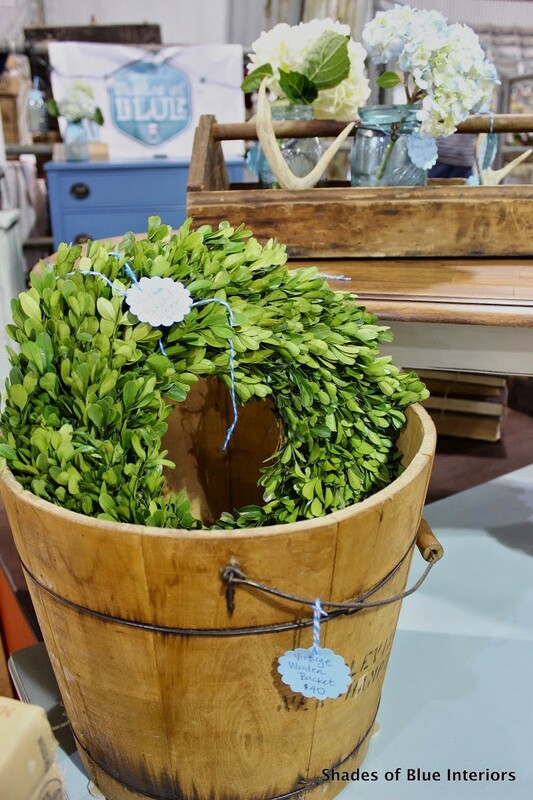 I’ve also seen different dried or faux wreaths and bunches of faux flowers that are beautiful and accomplish the same purpose of offering customer’s natural/preserved decor that looks good year-round and doesn’t die. Having a good relationship with the event organizer means you have a better chance of coming back for the next one (especially if it is a juried event). Becoming a sponsor isn’t always the best financial decision for everyone, but if you find you love the event, and you can afford to, it almost always pays off. The extra promotion, advertising, opportunities, and good booth location are just some of the perks. 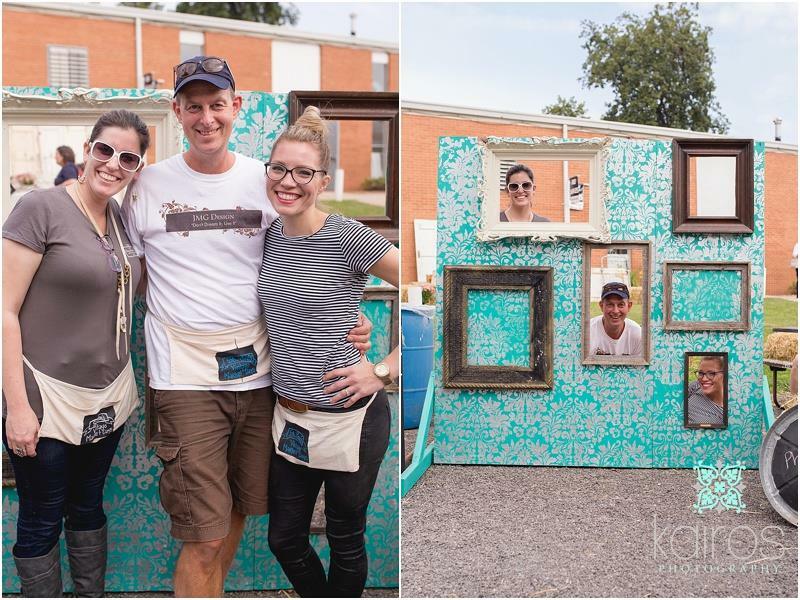 This is Chanda (pronounced like the first part of chandelier), STL VMD owner, her husband Todd, myself, and Bruno after the first St Louis Vintage Market Days. Also, I’ve found that finding ways to be cheerful and helpful, even when it isn’t popular, can go a long way in a relationship. Don’t do it for selfish reasons or a ‘what will I get out of it’ mentality… Put yourself in their shoes and make a friendship. The event organizers almost always have a lot of experience and can teach you a thing or two, if you are willing to listen. It is 100% worth it to make friends with your fellow vendors. Maybe you have a ladder and they need to tie something up high… or maybe you need to go to the bathroom while it’s really slow and need someone to watch your booth… whatever the reason, making friendships will ensure you have more fun, and help you be successful, both in the long term and short term. Promote each other. Praise each other. Learn from each other. When people attend and walk through your booth, be friendly, helpful, answer questions, and/or tell them a bit about yourself. If they like you, they will be more likely to purchase from you then or in the future. Or even if they don’t, you might make a new friend, become a mentor, become a student… who knows! As cliche as it sounds, don’t judge a book by their cover. You never know who will buy from you, who will promote you, who will become your best friend. I’ve had people chat it up with me, then find out toward the end of the conversation that they read my blog or follow me on Facebook! Can you imagine if I would have been rude or dismissive? I also often have clients who were friends with someone who met me. Let people take all the pictures they want, even if they think they can duplicate what you did. Bite you tongue and be polite. You don’t have to approach every person, and in fact, I don’t think you should. Give people space to think and peruse, or talk to their friend. Sometimes their friend will do a better job of convincing them they need the item, than anything you could say. Promoting yourself is all about creating a buzz before the event. This is the magic of social media! Last year I sold 3 pieces of furniture weeks beforehand, just because I advertised I would be selling it at VMD. Sometimes I specifically say, ‘it will only be available for purchase at the market’, which makes people want to come to your booth first before things sell out. Don’t dismiss utilizing social media because you are ‘too busy’. If you have a blog, it would be a good idea to write posts about certain buzz-worthy pieces. Take snapshots of different things you will be selling and get people talking (and sharing). And keep it up during the event! I don’t always have time to document on my blog all the different items I have for sale ahead of time, but I have had people come to buy something, just because they saw it on Facebook or Instagram. This is something I was clueless to ahead of time, but Chanda gave me a few pointers at the first event I did and I picked it up quickly. I’ve never used a tent and I prefer the open-ness it gives my booth. I have seen tents and temporary walls used with impeccable taste, but the idea is to give your booth some room to move around without being too roomy. You don’t want them to be able to stand in one place and see everything, but you don’t want to hide pieces either. Draw them in and keep them lingering a little longer. I always have found it best to have a center ‘island’ or two (depending on the size of the booth). For the island, you don’t want to stack big pieces because it will block the entire view of the items behind it. Try to keep your stacked items along the perimeter mostly. When I’m setting up my space, I want to have at least one “eye catcher” or focal point (sometimes I have more than one depending on what direction you are looking), and then place pieces next to it that coordinate or contrast nicely. The eye-catcher should be one of the first things (if not the first thing) you see when you walk towards your booth, in the direction that most of the traffic will be coming from. Walk through the space, pretending you are a customer, and see if there are any sharp corners sticking out, or awkward spots that you can remedy. Make sure it flows. When in doubt, ask your neighbor vendor to walk through and see if they have any pointers. Sometimes an extra set of eyes is all you need. Part of why I mostly buy vintage items that I personally love, is because they are items I am most used to staging with. 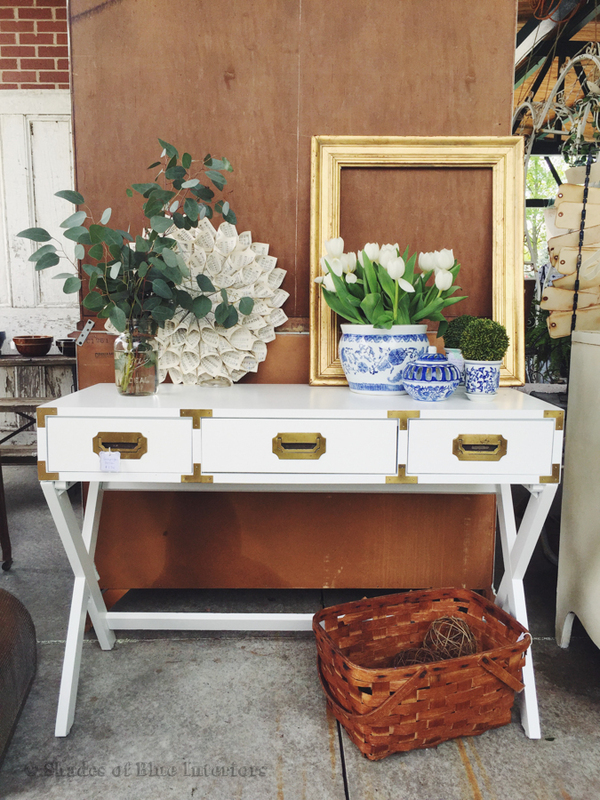 I promise you the prettiest piece of furniture will be mostly ignored unless it is staged in a pretty way. 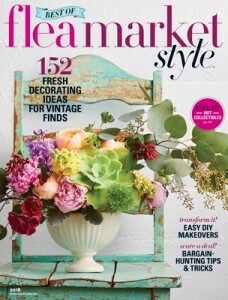 I always always always buy fresh flowers or greens for the SOLE purpose of staging. I’ve had lots of people offer to buy the fresh greens too, which always makes me laugh! I gave Trader Joe’s lots of business this past VMD, because there is where I picked up fresh eucalyptus, tulips, and hydrangeas. When a piece sells, move things around quickly. You don’t want someone to walk by your booth because things look empty or missing or cluttered. This re-styling over and over hones your skills and you will often learn new combinations that work well together. Think about color coordination, contrast, texture, and height variance. Knowing your market is key in selling out (or close to selling out). You need to know how your prices compare to others in the same or similar events. 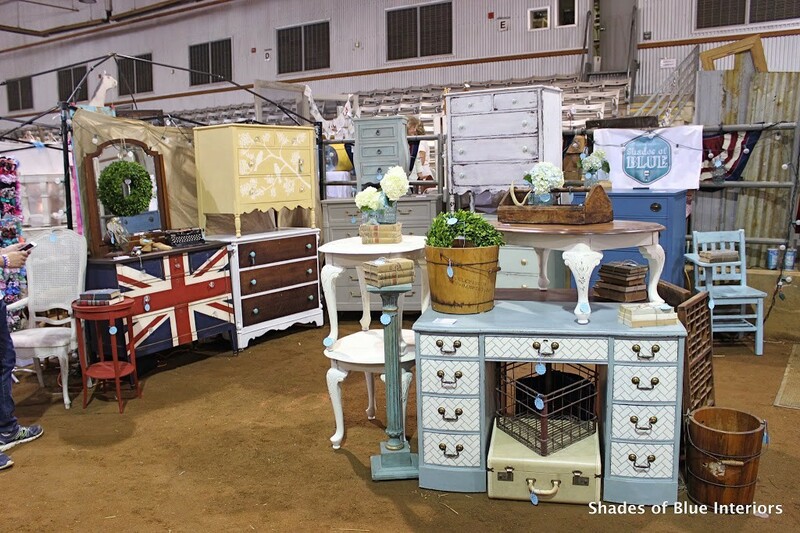 You don’t have to match everyone else exactly, but if you are at a flea market and are trying to sell painted dressers for $400+, you won’t be very successful. Additionally, if you are selling at an upscale vintage market (like St Louis Vintage Market Days) and you price your stuff too low, your profit won’t be as great and you will sell out fast… too fast! These type of markets usually last at least a couple days and an empty booth doesn’t look good from a customer point of view and from the point of view of the event organizer. They don’t expect you to be stocked full until event-end, but they don’t want things to look completely empty… it just isn’t as pretty. This last VMD a few weeks ago, I asked my neighbor booth to spill into my space when I only had a few pieces left on Sunday. Additionally, when pricing your smaller vintage items, if your main thing isn’t “smalls”, it is OKAY to not make a fantastic profit on it. Remember, you are selling the look. If I don’t spend a lot of time making it, fixing it, or finding it, I am okay to only make a couple bucks on the profit of an item (depending on what it is). Other times I find a steal of a deal at a garage sale or auction and I make more than double or triple. Make sure you do your research to know the competitive price for that specific item and keep it within that range. That doesn’t mean, just because you saw a globe on Etsy for $70, you can sell it for the same price. 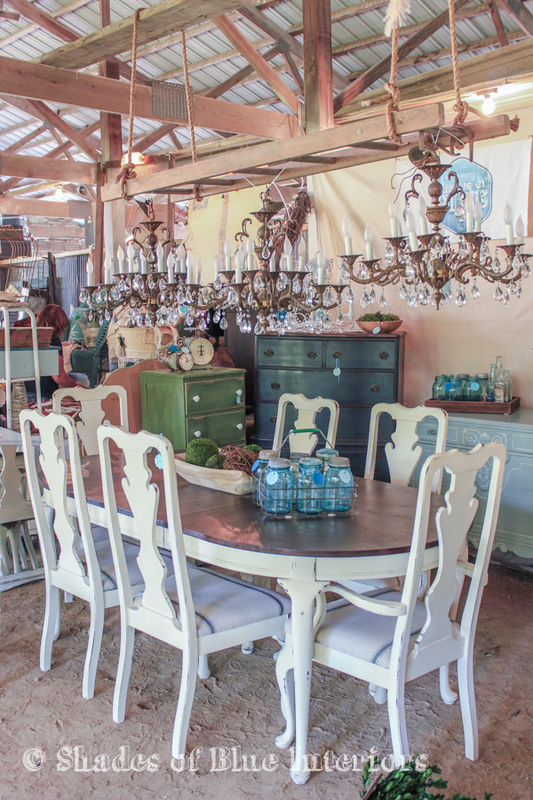 Figure out how similar things are priced at the event, how they are priced locally and at antique malls. Lastly, don’t undervalue your quality. Just because other vendors selling items in the same category as you, if you really feel like your items are worth more, price it a bit higher! Be proud of your work and what makes it ‘one of a kind’ and talk about it with people showing an interest. Tell them what makes it worth more (without saying those exact words). Talk about the amount of time you take and the quality materials you use… again, tell a story to add value. I love a good deal and I’m pretty sure you love a good deal. Think about this event as if you were attending as a customer. Many people don’t negotiate with me for my pieces, especially on the first day. I sort of advertise that, if you really want something, come on the first day before someone else buys it. But if you want a deal, come on the afternoon of the second day or the third day. I expect these events to have some amount of negotiation because that is a nature of it. Before you price your items, keep this in mind and have a figure in your mind that is the ‘bottom dollar’. Also, you are a motivated seller, so if someone is on the verge of purchase but is struggling with transporting the piece, offer delivery for a fee or for free if they live close. I cannot tell you how many times I have walked away from something I loved because they didn’t accept credit card. I rarely carry cash, so I assume the same of others. Square is a credit card processing company I use and the card reader is free when you sign up online. I know PayPal offers card readers and both of these processing companies have very low fees. It is WORTH IT! People spend more if it can be purchased with a credit card. Cash is a no-brainer and checks are personal preference. I’ve also never had a problem with accepting checks, as long as I check their driver’s license. Nowadays, checks can be deposited easily with your phone, so that makes things a lot easier and quicker too. Moving things around is all about keeping your booth from looking empty. This is necessary and often makes people notice something that they didn’t see when they walk by the first time. Sometimes, when I haven’t sold anything in awhile, Bruno (my husband) and I will rearrange some pieces, just to give attention to or highlight another piece. You won’t believe how much this makes a difference! Moving things around and re-styling go hand in hand and I can attribute several sales of big pieces just to moving them to a new location where they were showcased differently/better. Check with event rules and see what their rules are about restocking. Most allow it, unless it is a one day event. This allows you to keep some pieces in a trailer or at home (if you live close) that you can bring into your booth after pieces sell. Several times, we were able to easily bring in one piece at a time, soon after one sold, because our trailer was parked close and we had a cart. I would stay with the booth and Bruno would either load one up himself or find a helper to load it on the cart, and he brought it to the booth. Other times, logistics wouldn’t allow us to restock until gates closed for the day or before gates opened the next morning. We have sold pieces that were just waiting in the trailer and the customer only saw a pic, and we’ve sold some before the piece even made it to our booth, while it was en route! Restocking also keeps people coming back every day of the event. They want to see what new pieces you have brought, in case they are looking for something specific. Being professional in manner and dress isn’t about wearing fancy or expensive clothes. It is more about looking clean, well-groomed, unoffessive, and showing that you take this job seriously. This is your business, your brand, you must represent it well. Even if you don’t feel like being the type that greets others first, or smiles and engages in conversation easily, FAKE IT UNTIL YOU MAKE IT! Don’t cuss or talk about others negatively, especially other vendors or the event itself. How you look and act definitely matters in your success. Lastly, have fun! Hand out business cards like crazy, take future orders if possible, and make connections so that a successful booth isn’t just about the sales made during the event, but also about sales made in the following months that resulted from something that happened at that event. Did you like this post? Was it helpful in any way? Comment below or share! This is so incredibly helpful! I will probably go back, re-read about 10 times, and take notes! Your work is amazing! Thank you for sharing these helpful tips! They will come in handy as I embark on my dream! Great advice!! I find that preparation is the key!! It is a lot of work having a successful show but so worth it in the end!! Thank you for reinforcing some key points and introducing me to some fantastic new ideas! PS I just love your style!! My daughter and I are just starting to do shows and it’s so exciting! Thank you SO much for this invaluable wealth of information! I’ve shared this on my FB page and pinned it so I can finish reading later. 🙂 Your work always amazes me and it’s so awesome that you’re sharing what you’ve learned about running a booth at a fair. I’ve posted about renting a booth at an antique store before but I’m sure there’s a lot of info here that’s different from what I normally do for my space. Thanks Rachel! Hi Rachel – This is a great post. I’ve never personally done a show but if I ever do, I will definitely keep all your great info in mind. It is very different here where I live, most of the antique shows that we do have is reserved only for antique vendors selling “unpainted” antique furniture and collectibles. They consider “painted” furniture as a “craft” and not “antique”, but nevertheless my furniture does do well selling on CL and Kijiji. The market here is not yet saturated with furniture artists yet! Thanks for sharing your experience. Have a great day. Thanks Rachel for such a wonderful post! My partners and I were just in the April VMD as newbies. Some of these things we thought of and some we didn’t so I appreciate your sharing! I love your stuff and have seen your booth at every VMD that you have been in. We hope to be in the fall VMD so come see us “Where Rivers Meet”! Thanks so much for this great post! I have only done one sort of market and I had a lot of success. Recently, I was debating on doing a weekly farmers market in an upscale town near here, but it would be one day a week so I am not sure if I would have enough merchandise to keep it full. I have to decide shortly but all your advice was helpful!! I definitely will pin this to reference. Oh, and your work is beautiful!! Awesome advice! 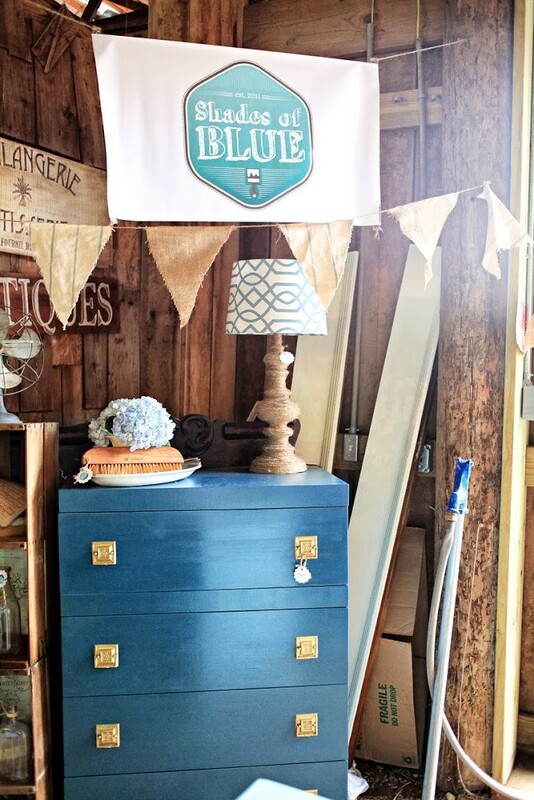 Gearing up for an event (Junk Extravaganza) in KC this weekend and these tips will definitely come in handy! Love all that you do- thanks!! Great Advice! I set up at a lot of shows and all of that is so true and will affect your bottom line. I learn new things all the time and from every show. Other vendors give me inspiration and I feel that I improve every show I do. 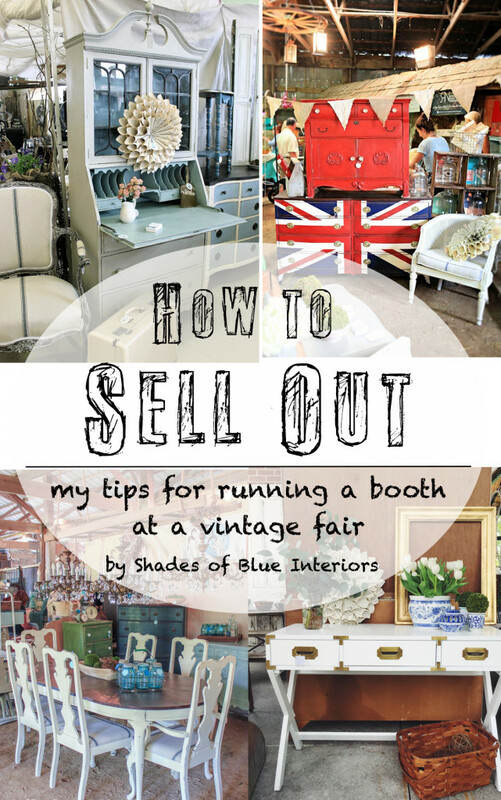 I agree with everything you wrote & will recommend this article to anyone that wants to have a booth at a show or antique mall. Thanks so much! What an amazing post, Rachel! I’ve always wanted to see stuff at a booth but we don’t have much of that here. Great ideas though. 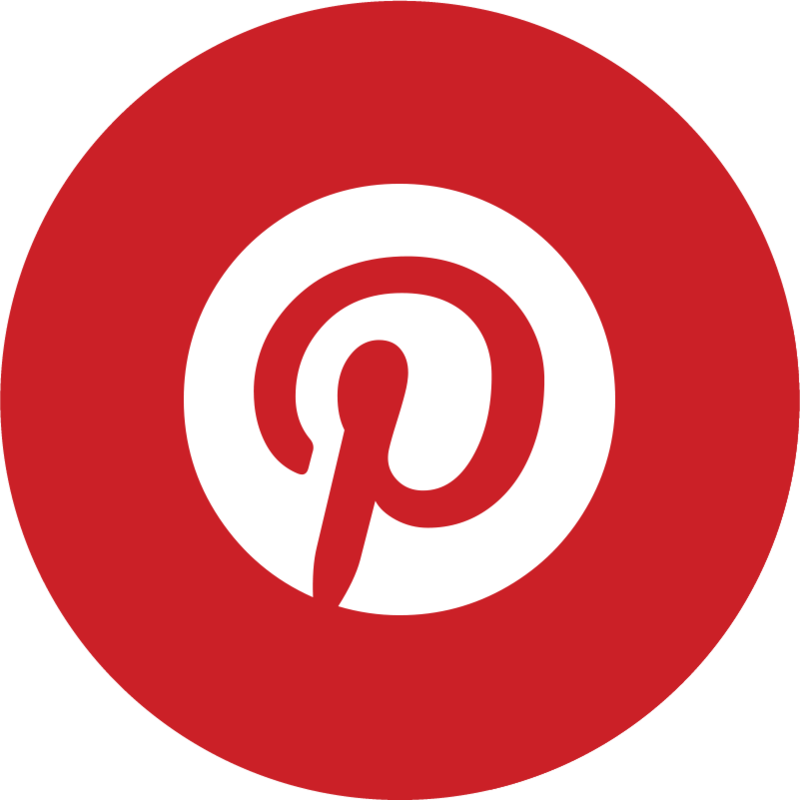 I’ve pinned a ton! Thanks for the great post Rachel. There are a lot of tips in there that applies to us bloggers who just have a booth at a local store. Thank You so much for taking the time to write this out…I will be sharing with my makers at our Sale!!! Great tips and helpful info if I ever get enough stock to have a booth anyplace! You have a great attitude. I have been looking high and low for a blog about vintage market vending and finally found YOU! I am in this business too (up in the Seattle area) and have just started a blog and officially launched “my brand”:) Thank you for the tips! I’m subscribed and excited to read and learn more! Thank You for sharing your experience all are Great tips. It is nice to have a successful vendor affirm all the things that I have been working so hard to perfect. I learned a lot of these things the “hard way!” Great idea about the dried herbs and fresh flowers. I am a guy so my mind doesn’t naturally go towards flowers but now I shall incorporate that as well. Love your info! Not familiar with the sale you were referencing in this post! From St. Louis and have not heard about this sale? Thanks for the great ideas..have just starting selling in a new variety booth store in Jefferson County and I love tips from successful and established sellers! Liquidating my Entire Inventory, of Furniture, Tons of Vintage Jewelry, too. If You & Vendor/ Friends ever make it to Montana, let me know. Please Visit my Fb page Dee’s Antiques Collectibles Treasures. I have a lot on there & a Garage full to Post. 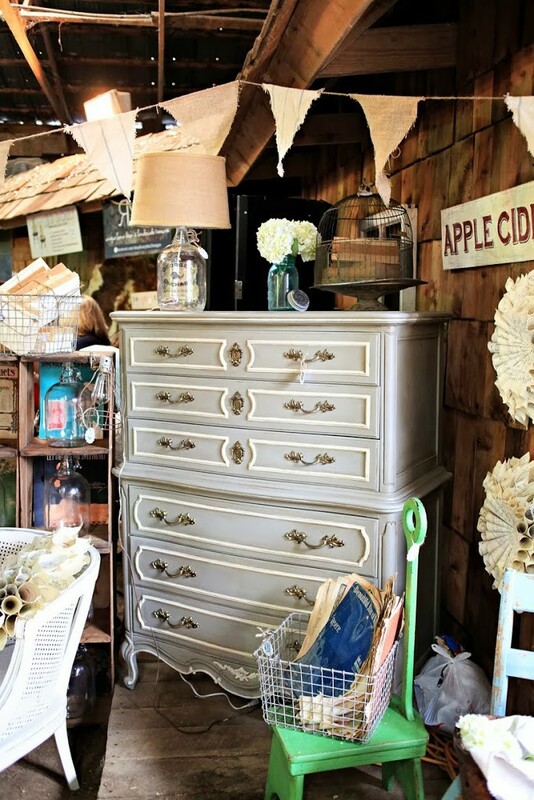 Prefer to sell to Vendors doing Vintage Markets. Thank You for taking time to Post so many Helpful Tips . Deedee Rivers. I have done one Vintage show with a lot of success and will be doing another in the fall. A lot of your tips are ones that I have been using already (I worked in retail and decorating) but there are a few new ones that I will incorporate in my booth. Thanks for the info, love your stuff. This is awesome Rachel! We are doing our first VMD event (in Texas) in September. Some of your points were somewhere swirling around in the back of my mind, but there are plenty of GOOD tips here that I feel will make us stand out as vendors who have a clue instead of “the new guys”. Of course, we may look like that too! Haha! Thanks so much for taking the time to put this together. Thank you Rachel for such an informative post!! I did a craft show last year but had NO idea how to decorate or display my products. It was definitely a Hodge podge.The wheels are turning where to go with some display ideas.Thank you,Thank you!!! I sell clothing and have to adapt your ideas for my booth, but I really love this post! That energy! Thanks for sharing!!! Need to incorporate some of these ideas! One I will definitely do is the island I get so many walk bys!!! I read your article and thanks for sharing your valuable information.. I’ve had a booth at an antique store for about 2 1/2 years and I want to sell out or almost sell out. I will definitely incorporate your tips in my booth. Great information and I look forward to receiving more!! Thanks!! SO glad I found you and this article. I am setting up my first “Pop-Up” shop next weekend at an antiques festival. Your booths are beautiful such an inspiration! I have been trying to explain to my husband and mother-in-law (who will be helping me) what I mean by a consistent theme and how important layout, decor, and what you choose to go in your booth is. I just sent them a link to this post! Thank you! Fantastic article!!! I have a blog and Facebook page just for vendors and I shared this post on my Facebook page -“vintageshowoff”. I’ve written many articles on my blog and this article from you included many of my tips. 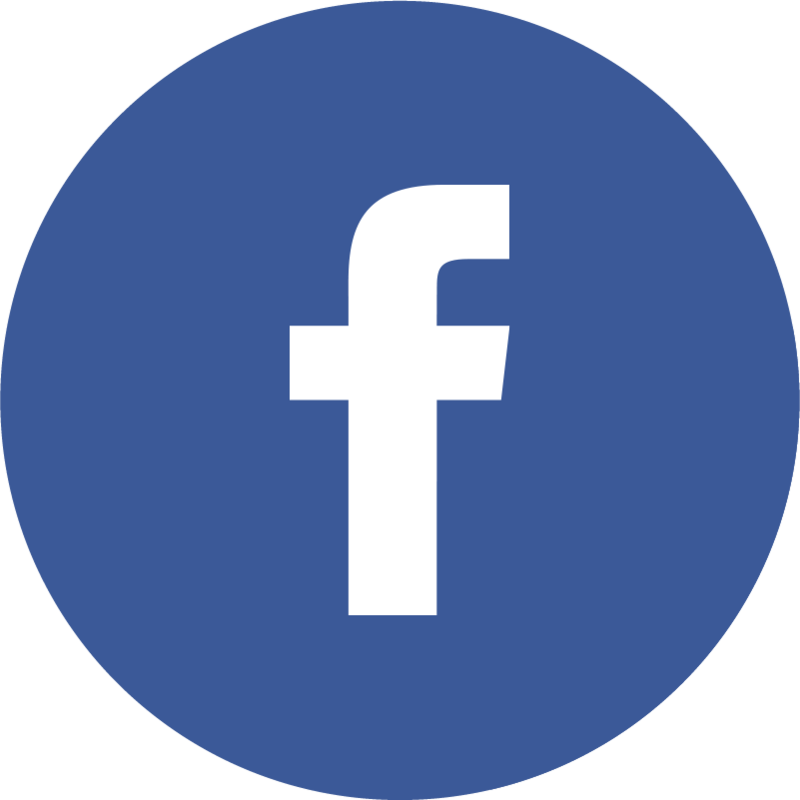 I plan to explore your blog (and Facebook page) more – especially the links from this article. Love it.. great tips and photos and your stuff looks amazing! Your details are very charming and you make it sound so do-able 🙂 Thank you so much for sharing . This was so helpful , Just signed up for my first show and I am nervous about looking like amateur ! I don’t like the use of tents, so I am hoping I have a good way to separate merchandise from my neighbor. Thank you for writing this and sharing! Loved what you said about staying true to a brand. I would add: get a large enough space. We had great success but we might have done even better with a bit more “breathing room”. 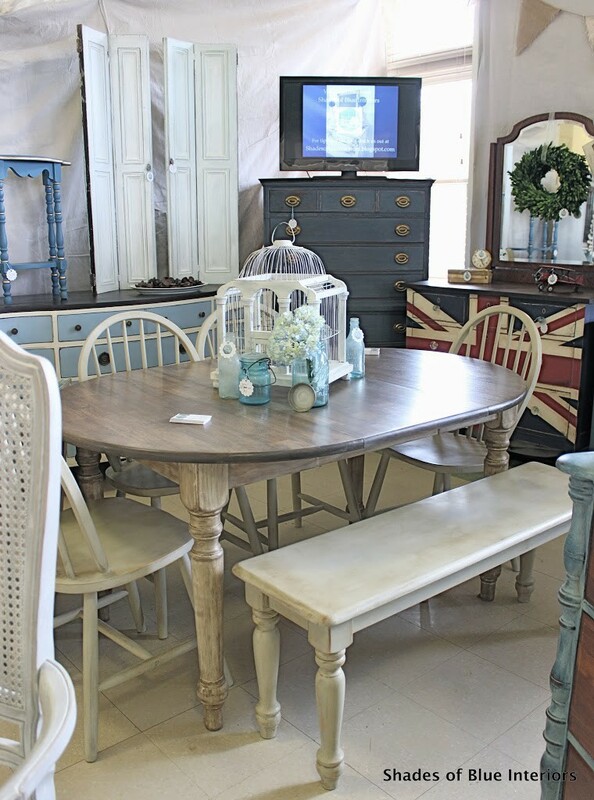 Some of our furniture didn’t sell as it was hidden under small and medium items, which sold extremely well. 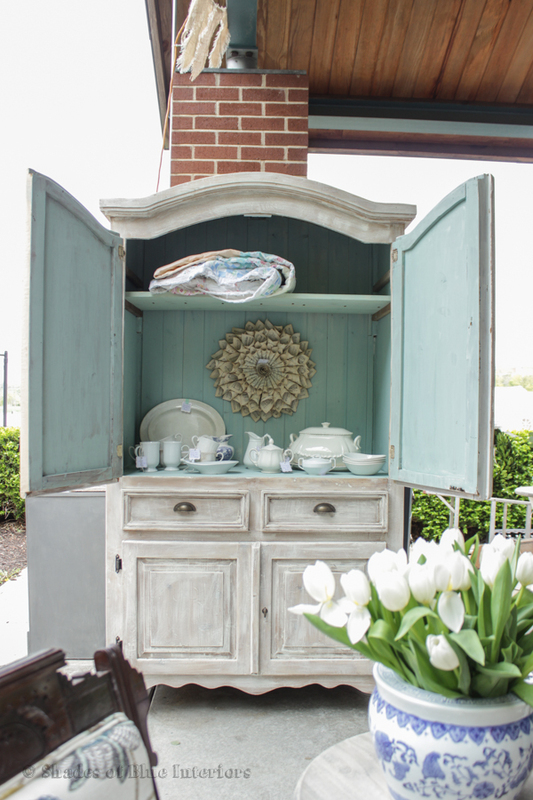 Can you please tell me what color blue you used for the inside of the armoir/hutch with outside painted white? I am buying a hutch and the back splash is really stained, I need this for a display and am trying to think of what to use on it. I love the blue you used. Also the brand name. Yes, it was a custom mix of Annie Sloan Chalk Paint in Duck Egg, Provance, and Pure White. I did flea market vendor 25-30 years ago and made 5-6 hundred a weekend and antique mall and did 2-4 hundred every two weeks. I recently started back in the flea market and I buy unusual and things of the past like I did back then. I bought stuff and some things were given to me for resale. Lots of antique and collectible. It seems all the hoarders have been healed and the young people don’t care about past stuff. People are buying mostly useful and practical stuff. My booth is too small for furniture. I haven’t figured the new market out?! I need an idea or new source?! I need this to work for me. I am not a monied person . I don’t have alot of extra to put out there. How can I make it work in today’s society? 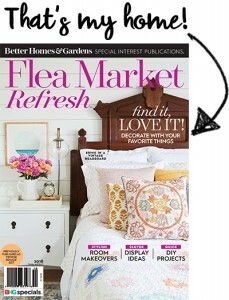 I would suggest getting on Pinterest, Instagram, and picking up some Flea Market Style magazines, and doing a little research to see what is popular, what is selling. Young people certainly do care about old vintage stuff, as is proof with the Vintage Market Days I’ve been so successful with (and I’m pretty young), and vintage isn’t going out of popularity any time soon. Most people don’t know what to do with random old stuff, so you have to do the research and give them the ideas. 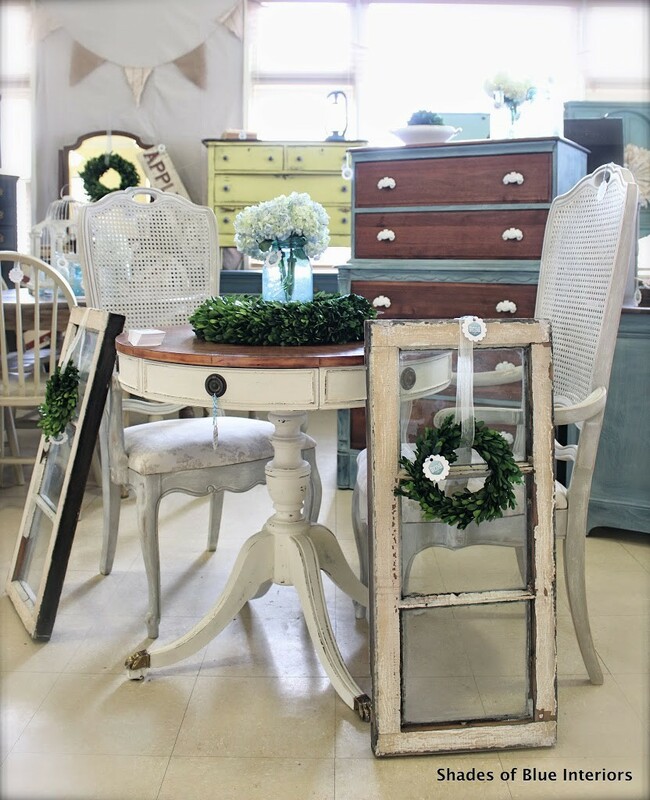 You find out what vintage pieces you see over and over again, what vintage pieces are being made into reproductions on sites like DecorSteals, Painting Fox, and even big box stores like Pottery Barn and Restoration Hardware, then when you do your picking, buy those same items. Most young people get their ideas from bloggers, magazines, and websites, so whatever is popularly used on those sources, will be what they buy the most of. 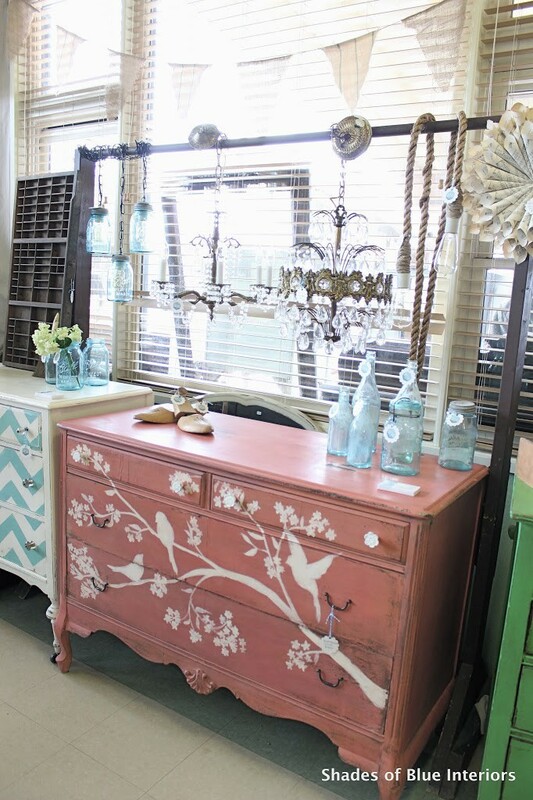 That is why painted furniture has made such a big comeback. 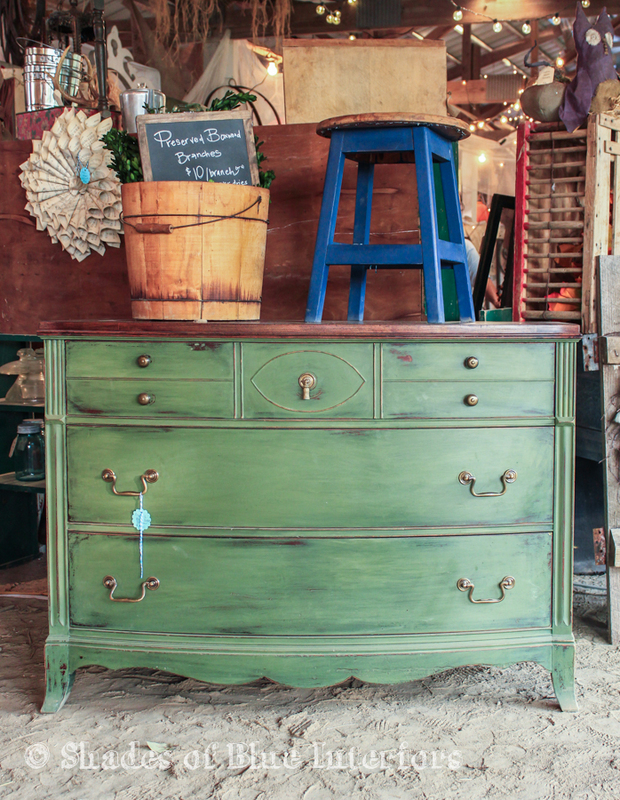 Even though you don’t sell a lot of furniture, the same rules apply to any and all smalls. Just do a little research and I’m sure you will be able to once again be successful at it! This was such thoughtful and thorough advice. Thank you! Oh my goodness! 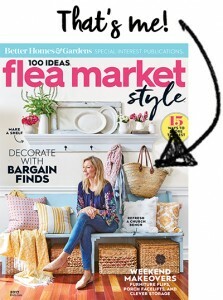 I stumbled across this article of yours looking for motivation and ideas for my very first booth space in a vintage store! I cannot tell you how much this has helped me! I was struggling with “what others” we’re selling and not about what “I am” selling! Be true to myself! Thank you!!! This page is so helpful! I’m a newbie in the Chicago area and need all the help I can get. Thanks! Your furniture is beautiful. Thanks for all of the useful information. Like some of the other readers, I don’t sell furniture but still think that I can put your advice to good use. Very helpful! !I’m just starting to research the possibility of doing a booth at a vintage store with multiple booths. Thanks for the info! Love this post! I am finally going to do my first market this spring, I have been selling in antique malls for the past 8 years. Do you ever use a tent in a market that is mostly all outside? I understand the limitations of a tent, but think I should be prepared for rain, since I am in Ohio. The indoor spaces at this event don’t seem to have as much traffic. Thank you! Some of the Best suggestions I have seen. My daughter and I are about to open a store and I am going to use a lot of your ideas. Thanks so much! Great tips. Thank you for taking the time to share with others. 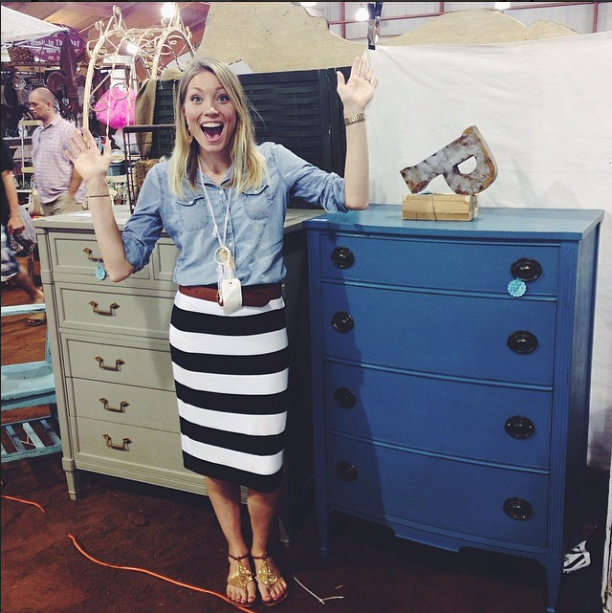 I love everything you do, especially your painted furniture and how to stage it. Thanks soooo much for sharing!! We use a lot of your tips already but sure learned lots more!! 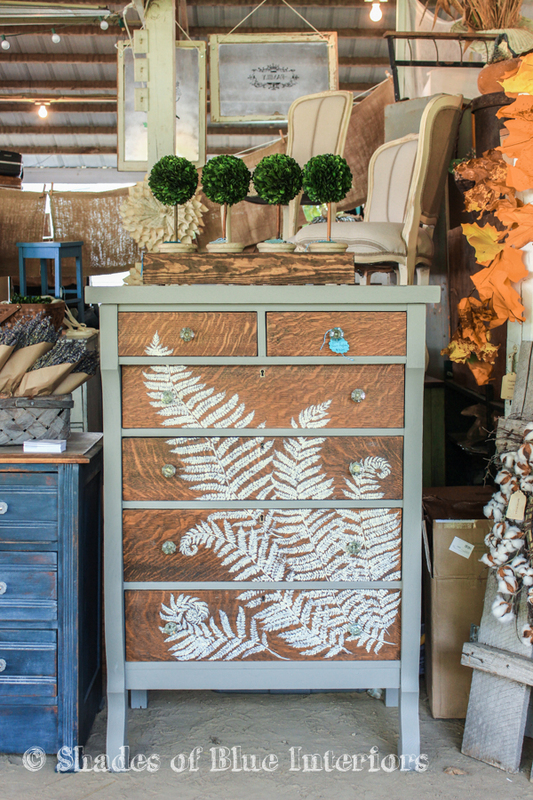 One thing you definitely practice is my motto “Everything is a background for sonething else.” When we arrange our booth at our local antiques/gift mall, we double-check that items pop because they’re visible against whatever is behind/next to them. Makes all the difference! Best wishes for you and your endeavors!!! Love your blog! I don’t sell but I very much enjoy looking at your creations. I live in Kansas so not too far away and would love to attend one of your shows. I’m sure the dates are included in your blog which I just joined! I have started a home business selling telehealth plans. I am doing my first vendors booth in a month and I appreciate all your advice! Great post. Thank you for sharing your work and your experience. Very inspirational. I began my path as a vendor in an antique\artisans co-op 2 weeks ago. And my daughter in I will be participating in a few local events this year. I love seeing others that are able to succeed doing what you love and helping others to create the homes of their dreams. Keep up the great work! 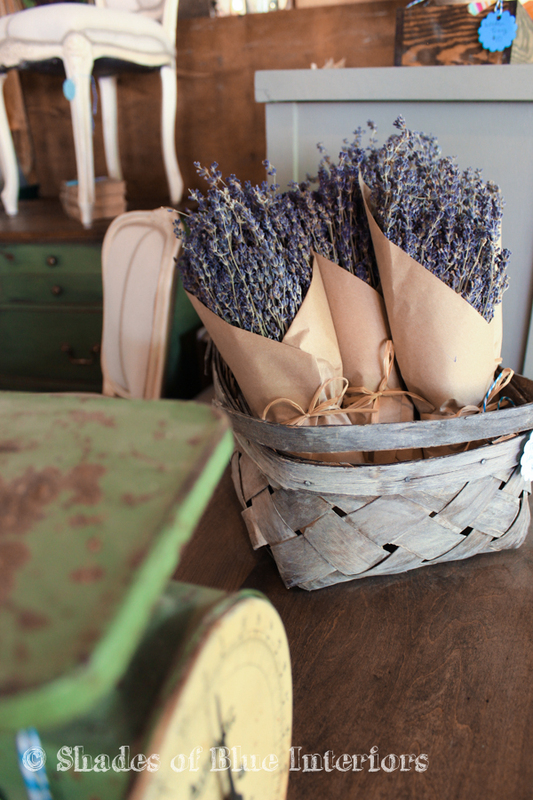 Where do you order your wholesale lavender and dried plants from? Thank you so much for the tips. My husband & I are starting out. It’s my passion so I appreciate any advice to grow from here!! Thank you so much for this blog! 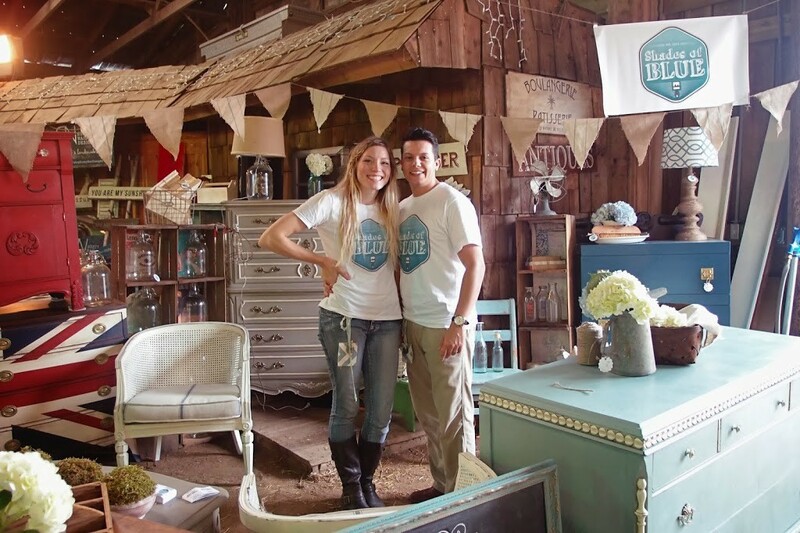 My Mom and I own a home decor and gift store in Effingham, Illinois called Favorite Things! We will be doing our first market in September and are so excited! Your blog is SUPER informative! Thank you for all the great tips!! Come see us if you are ever in Illinois!!! This article was great and I have been searching for this information. I am in Charleston and looking forward to my first vendor show. Cheers! Thank you so much for sharing! Such valuable information!!! Such valuable information!!! I feel empowered to continue, my first and only show was not great, now I know why! Thank you again! Thank you for the information! I am doing more pop ups and this was incredibly helpful! I have been thinking about getting into this lifestyle for awhile now! Starting is the hardest part for sure. This was so helpful! Thank you! Great information, even for someone like me ~ who has been doing this type of thing for quite awhile! 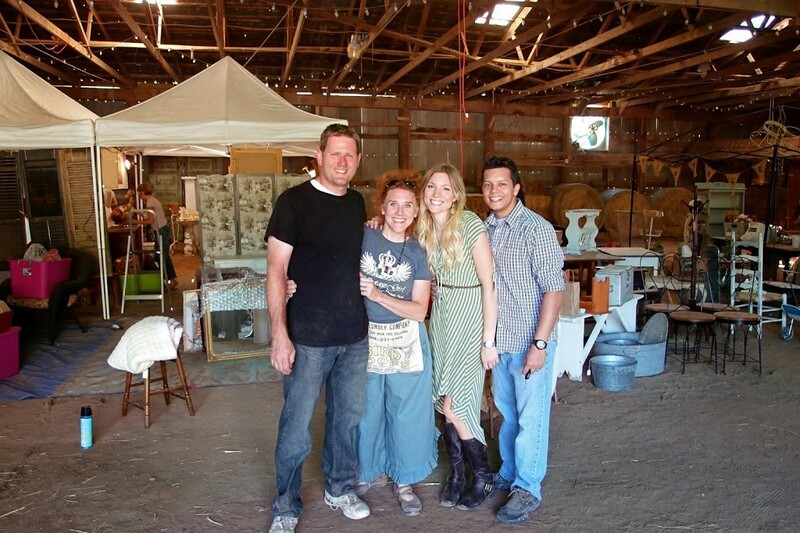 I am mostly in shows that are Seasonal and require “Handmade Only!” This is limiting, but I feel that furniture re-painting/re-styling would fit right in, too! I need that sort of thing to add unique display opportunities, as well as using the height of some pieces to create even more visual marketing space. This is an awesome post ~ very informative ~ TFS! I read this over and over all the time. Great article! This is an amazing post. I love your collaborative nature too. It’s not about competition. We had a booth for 5 years until we landed in a retail spot, and you nailed every single piece of advice for success! Thanks for that very detailed and through post! I’m doing my first show in just 5 weeks eek! So I’m very thankful for the advise to help me stay focused on the right things! That’s a good tip to find the right event. You won’t make money if the organizer doesn’t advertise well. I’ve been trying to get into antique lithographs, so maybe I should a good event like that. Great post and excellent information! I will be directing this to a client who has things he wants to sell and didn’t know how to go about it. 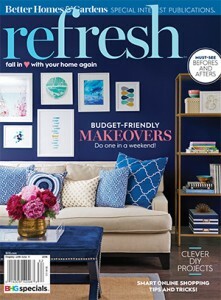 Fantastic style and staging with great products! Best wishes for your continued success! And many thanks for sharing your knowledge so kindly! Great post and wonderful tips! Thank you. Tips are useful, practical and really good. Thanks! Great advise! Getting ready for an event this weekend and needed some refreshing. This really helped! Thank you so much for sharing your helpful hints! It has inspired me to really examine and build up my theme. I really like flowers, so when you shared about using them in your shows, I immediately began thinking about a couple of the different items I have that will hold flowers. Rachel Thank you so much for your post, it is awesome, I’ve learned a lot from you. Again Thank you so much! Excellent advice. Thank you very much for sharing all your tips, tricks and knowledge!! My daughter and I are doing our first show together this Fall and this was so handy! Thank you!!! 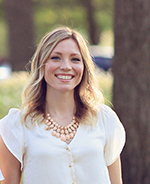 Thanks, Rachel, for the time and energy it takes to share your expertise! I’m a newbie in the business, having recently retired as an elementary principal. 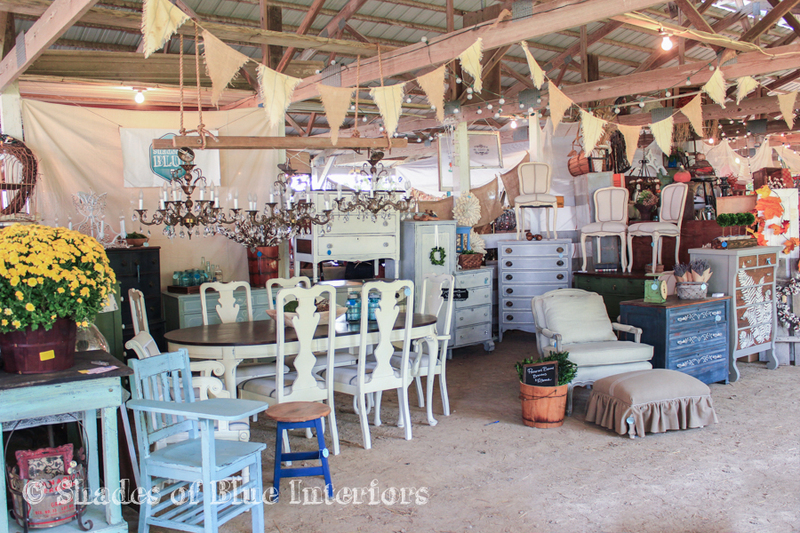 Although an avid DIYer and antique/vintage lover all my adult life, I opened my first booth in November. I’m learning as I go, so your tips are very timely and helpful. I haven’t had the guts to do a show yet, but hope to take the plunge soon. You’ve given me very sound advice and boosted my confidence! Thanks again! Fantastic and thorough article. Thanks so much. Just one question. Is there any way to accept credit cards easily when you don’t have a cell phone and the location has no internet access? I was wondering if anyone had ever tried to use their online shop with a generic listing for price amounts/no shipping and folks who do have cell phones could purchase via their own phones at the market. Slightly cumbersome I know, but I am trying to think outside the box to solve this problem. Hi. Great post. Thank you for the tips. I am doing my first show this spring. I have had a booth for about a year now and I am really excited about the show. How do you usually transport all your items? Having a booth, I just take items once a week in my SUV, but for a day show, I know I will need more room for large and small items. Do you have a trailer or rent a uhaul? I thought about checking into a uhaul rental for the day. Thanks so much! Awesome information thank you for taking the time to share your great expertise! I was wondering if you could share where you order your wholesale lavender and dried plants from? I love the idea of offering these at shows! Thanks so much for sharing your expertise. I only do one event per year but I’m excited to put what I learned into effect. Great tips! Thank you for this! 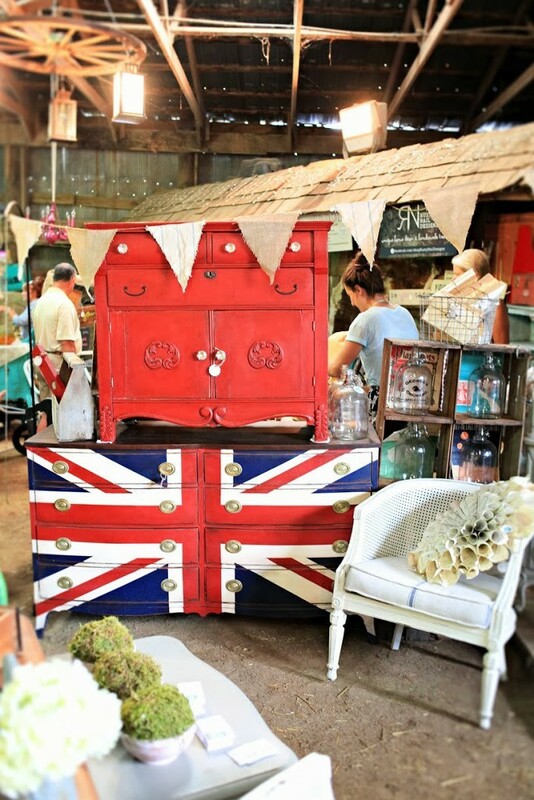 I live in England and after 2 years selling online I’m about to embark on some antique/vintage markets. I’ve done heaps of research, looking for good advice and came across yours. Everything makes sense, I understood it all, I was nodding my head as I went through it. Really, really helpful stuff. Thank you very much. Great article. Lots of awesome helpful tips that I hadnt though of. 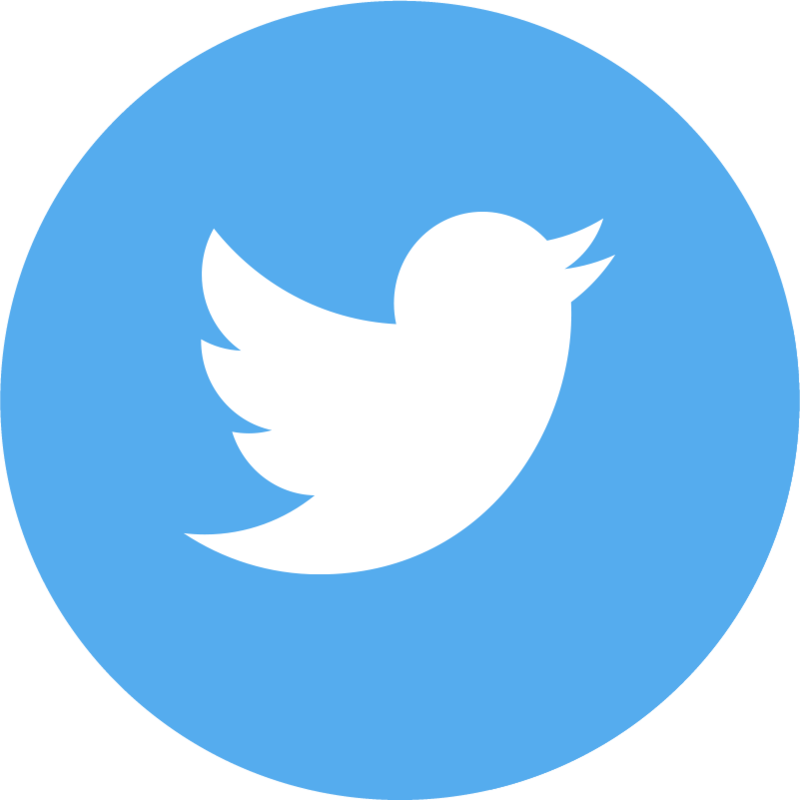 Great – good advice, especially to the newbie….. we are just starting out….. Wondering if you have any tips on pulling a trailer and if it’s a 2 or 3 day event- do you leave your trailer with your merchandise outside locked up???? Thank you … I appreciate all your info !! This was by far the most helpful information I have ever read. These tips encourage and inspire me to move forward with the things I love and enjoy doing. Thank you so much for sharing. Hi, I’ve done alot of booths but never on this scale I was thinking about doing one but was not sure how so thumbs up! For sharing your experience with us, it was very informative and I thank you. What helpful and thorough tips. My husband is finishing my very own shed so I can really start on some projects and learn. My dream for the future is to have a little boothe at the local antique store and have people enjoy what I created. Thank you for such wonderful knowledge! Can you tell me the wholesale florist you use for the lavender and other dried flowers. Thanks. I love your work and generosity in sharing information. Really enjoyed this! I sell in the UK but this has been really informative. Love your tips, have been in the antique business for many years and am going to embark on my first big show in over 25 yrs. it’s been a long time since I’ve done shows, so appreciate your updated advice. I am in Texas, would you mind sharing your wholesale connection for the lavender and boxwood wreaths? I’ve researched so many sights and haven’t found a reasonable one yet, and my Dallas Market connections are not fruitful. Do you mind me asking what you sell your lavender bunches for? Thank you for all the wonderful tips! I am new at this and still have so much to learn, but I am loving this journey! Thank you again! I know this post was done a few years ago… but it was so helpful!! Thank you! Can you please tell me who you use for your floral wholesaler? I’ve been searching and searching for one and can’t seem to find one that I like. Thanks so much!! Just can’t tell you how much I love your blog…… stumbled on in the wee hours when I couldn’t sleep…. my head now swimming with so many inspirational ideas from interesting items that you shared!! Wondering if you can tell me please if there’s a tutorial in doing the finish that I see on the round weathered toned table that I see just above #11″Move Things Around” in your Tips for Running an A Booth?” I just love the color.